Villanova goalie coach Kate Goldstein offers a winter clinic series just for goalies! The three week clinic series will target a different aspect of a keeper's game each week. 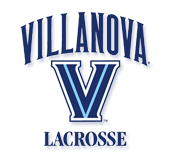 Coach Goldstein will be assisted by her current goalies at Villanova, bringing college level instruction, drills, and feedback to your goalie. This clinic series is designed to give your goalies an opportunity to shake off the rust, learn something new, and provide the tools your goalie needs to step up their game and take it to the next level. Many of the skills learned at these clinics your goalie will be able to take home and continue to work on.